If your home has become tired and in need of a revamp, rejuvenating your staircase can give your living space a new lease of life - it might just be easier than you first think! When we are home, we want to feel at home – so, whether you have recently moved into a new house or just want to give your living space a facelift, look no further than Blueprint Joinery’s range of staircase parts. Old staircases can have a detrimental effect on the style of your home and its overall feel. 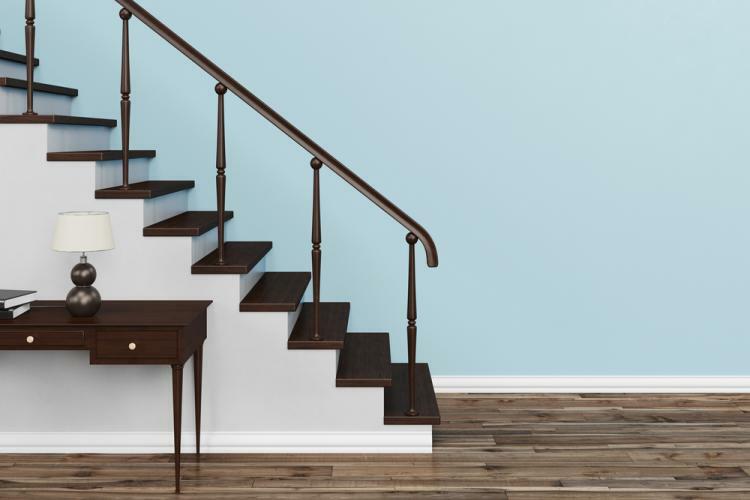 For homeowners that seek a contemporary design to pull their home into the 21st century, investing in new parts for your staircase can be the difference from transforming your humble abode into a palace. Installing new stair cladding can change the entire dynamic of your home, without actually making wholesale changes. Not only does stair cladding add a refined touch of elegance to your living space, but also plays a huge part in making your staircase feel more durable. The solid surface is easier to clean than carpet, meaning that you need not worry about stains or tears any longer. Cladding can be used as the perfect complement to other parts of your staircase and furniture, highlighting previously unappreciated features that lived in the shadows. When choosing new staircase parts, do not feel as though you have to be confined to wood features – broaden your horizon with a selection of metal and glass elements. Glass balustrades is a popular feature in contemporary design that allows for natural light to illuminate a home much better than opaque materials. Whereas before you may rely upon artificial lighting to see where you are going, even during the day, glass balustrade will allow the sunlight to run throughout your home. For those looking to add character, with a touch of quirkiness, iron spindles add a modern take on rustic features. Add to a solid oak base for a staircase packed with personality that will not fail to catch the eye. When you buy from us you are not buying from just another online retailer, you are buying with confidence from the UK’s Best Staircase Parts Online Retailer, as voted for by the readers of build-news.com. Our unrivalled service provided by our experienced team is second to none, striving to offer the best products, help and advice for our customers. For any information regarding our staircase parts, or any of our other products, please call Blueprint Joinery’s award-winning team on 01691 671020 today.